Our client was a first time developer who had located a plot of land without planning near Norwich in Norfolk and were looking for development finance. Looking for a quick turnaround they contacted One 77’s Specialist Lending Department.We were able to facilitate the purchase of the land initially, then when planning was granted fund all build costs of the project to 100%. When the four properties were water tight we were then able to reduce the rate of interest on the loan and allow the client a further 12 months to sell them off. Despite the fact our client was an inexperienced developer we were able to source funding up to 70% LTGDV. 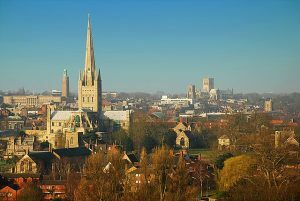 Find out more about our specialist finance and bridging loan services in Norwich and the surrounding areas. Do you require auction finance or any other specialist finance solutions? For our full range of specialist finance options and products call our Specialist Lending team on 01249 474956.